First of all the Parties can’t find an acceptable working format of the discussion of mechanisms on border incidents prevention. And meanwhile there were a lot of them last year. 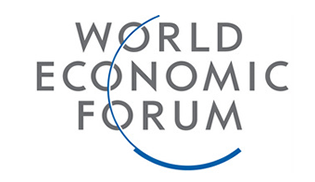 Even international summit included the subject of the arrest of four Georgian citizens in the territory of South Ossetia. Russia in its turn focused on the problem of detention of five Ossetia citizens in Georgia. And hardly the above described incidents were solved as new ones arose in the beginning of the year. On the 5th of January 2010 an employee of the State security service of South Ossetia Gennadij Pliev got lost within Georgia-Ossetia border territory. In the consequence this event was differently interpreted in Tbilisi and in Tskhinvali. The Mission of the European Union observers spread the information about voluntary visit of Pliev to Georgia (as if he was going to meet the “alternative” South Ossetia Leader Dmitry Sanakoyev). The representatives of “non-alternative” Republic declare, that Pliev was kidnapped. South Ossetia doesn’t acknowledge the version of the EU Mission representatives and suggests considering this event within Geneva format. On the 8th of January 2010 the meeting of the representatives of Georgia, the Russian Federation and South Ossetia, devoted to the prevention of border incidents, didn’t take place. Although this is the first failed event of the kind. Earlier it was the meeting on the border incidents prevention on the 19th of December 2009. There are a few reasons for that, but the main one is the principle differences in the interpretation of the “border problem”. 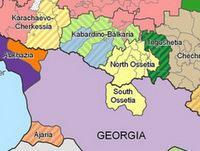 For official Tbilisi South Ossetia is an illegally occupied region, in which Russia is the master. Authorities of Tskhinvali are perceived as puppets, which don’t influence the decisions adopted. In any case the border between Georgia and South Ossetia is observed by Tbilisi as an administrative but not a state one. South Ossetia has a quite another view. And, naturally, it is supported by Russia, assuring the security of this partially acknowledged unit. The sense of this approach is in the fact that South Ossetia as another state that has no relations with Georgia, should have its own border. And preferably the border that is tightly closed from the neighbor. South Ossetia President Eduard Kokoity declared about this priority literally on the eve of the new year. From his point of view, almost each hostile act (including terroristic one) against South Ossetia is inspired by the special services of this country. But arrests is one of many, although the most important problems. Another problem of Georgia-Ossetia bordering is the crossing of the border. Except for pure technical side (the documents required for crossing) it has another dimension. After the five-days war of August 2008 South Ossetia with the help of Russia has established its total military-political control over the Akhalgori (Leningori) region. This region, located in the eastern part of the former South Ossetian Autonomous Region existed within current borders since 1940. After the first act of Georgia-Ossetia conflict in 1991-1992 it remained divided between Georgia and unacknowledged South Ossetia. Tskhinvali preserved its control over the less part of western region, inhabited by ethnic Ossetians (real center was located in the village Tsinagar). The most part of Leningori (in Georgia it is called Akhalgori) region (Ksansk Gorge with the center in Alkhagori or Leningori), inhabited mainly by Georgians, went under the control of Tbilisi. There in 2002official Georgian authorities held a population census. According to its data in Ksansk Gorge 84% of the population were Georgians, and Ossetians – about 14%. The situation changed completely in 2008, when forcing Georgian population from the villages of a so-called “Liakhv corridor” (which cut Tskhibvali from Java), South Ossetia got other Georgians, citizens of Leningori region. As a consequence, emerged the problem of the co-existence of two ethnic communities, integration of Georgian community, establishment of relations between it and the authorities of a partially acknowledged Republic. Considering the integration of Akhalgori Georgians into common Georgian social and economic processes (and simply their relative connections with internal Georgia regions), the problem of border crossing became one of the priorities for Tskhinvali authorities as well as for Russian frontiersmen, assuring South Ossetian independence “out of the border of friendly swords”. Thus, for Georgia Akhalgori region is a delicate defeat, expressed not only in the loss of control over the territory, but also in the impossibility to guarantee the required security level for its own citizens. For South Ossetia Akhalgori (Leningori) – is the proof of military success within the confrontation with Georgia, and for Russia – a proof of its reinforcement in all South Caucasus. In the beginning of the new year the “Akhalgori problem” went public again. The words of Eduard Kokoity, that the border should be closed were interpreted in Tbilisi as a strengthening of passport control. On the 10th of January 2010 the vice-speaker of Georgian Parliament Pata Davitaya (by the way, the representative of Georgian citizens in Abkhazia, who left it after the war of 1992-1993) stated: “Russian military men strengthen the control over the border of Georgia with South Ossetia. The enhancement of control measures will touch upon Akhalgori region where the crossing of administrative border without Russian or Ossetian passport will be limited starting from the 10th of January 2010”. Georgian experts were more judgmental in their evaluations, calling hypothetic measures of Tskhinvali and Moscow as a “crawling ethnic cleansing”. Meanwhile, Tskhinvali expressed another view on the “Akhalgori problem”. According to the official representatives of a partially acknowledged Republic the situation is not that disastrous as it is imaged in Georgia. They are talking not about the introduction of travelling passports for the citizens of Akhalgori. It is required to provide a notarized translation of Georgian passport. According to Boris Chochiev, a plenipotentiary representative of President on conflict regulation, this measure will be introduced for Georgian citizens of Perevi village (that is situated in Java direction), but not for the citizens of Leningori. And yet this measure won’t be implemented towards Akhalgori region. At the same time, we can’t completely eliminate that the introduced practice of translations won’t be spread within Akhalgori region lately. 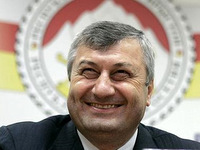 Boris Chochiev pathetically declares: “No matter how much Georgian authorities, Bakradze and the like false politicians hope, we create all necessary conditions for the citizens of Leningori region of the Republic”, which naturally contradicts the plans of Georgian Government, which after the aggression in August 2008 put the citizens of this region into unbearable conditions». In reality, the policy of peaceful co-existing of Ossetians and Georgians inside South Ossetia has quite pragmatic reasons, in which should be interested South Ossetia politicians as well as the Kremlin patronizing Tskhinvali. It will allow saying that Moscow and Tskhinvali conflict with official Tbilisi, but not with Georgian people. The assurance of definite humanitarian standards for Georgian citizens of Akhalgori region will show that constantly repeating thesis of the Kremlin that people and power – is not the same, but something greater than a PR move. Secondly, in comparison with Abkhazia Georgian people of South Ossetia can’t be observed as a political-demographic challenge. Before the military conflict in the beginning of 90-s of the ХХth century Ossetians comprised greater part of South Ossetian AD inhabitants. That is why the establishment of normal relations with Akhalgori Georgians can be beneficial for Tskhinvali, as in the opposite case the subject of ethnic discrimination (not during war, but peaceful time) will become an effective political arm against South Ossetia. And naturally, against Russian policy within South Caucasus.